An OLED (organic light-emitting diode) has many advantages over traditional LCD displays, including a faster response speed, thinner profile, lower power consumption and excellent shock resistance. An OLED can be widely used in mobile devices for display applications. Used in conjunction with a mini Arduino-based microcontroller such as the Beetle or CurieNano, it is a straightforward process to make a simple wearable application. Our Gravity OLED 12864 display is a self-luminous display module with a blue background. The display areas is 0.96”and uses an IC SSD1306 chip. The OLED screen supports I2C communication and refresh rates of up to 60Hz. 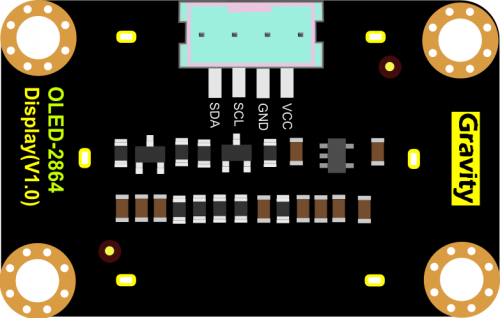 The module uses the Gravity I2C common interface for easy plug and play usage – meaning you can connect it without the need for wires - just plug it straight in to your device. The display bezel is constructed from aluminum alloy which protects the screen from scratches and damage. In this section, we'll show you how does it work. Find '''U8GLIB_SSD1306_128X64 u8g(U8G_I2C_OPT_NONE | U8G_I2C_OPT_DEV_0); // I2C / TWI ''', uncomment it (Delete //). Put the U8GLIB logo on the display. Now, you will get the Logo on the display. 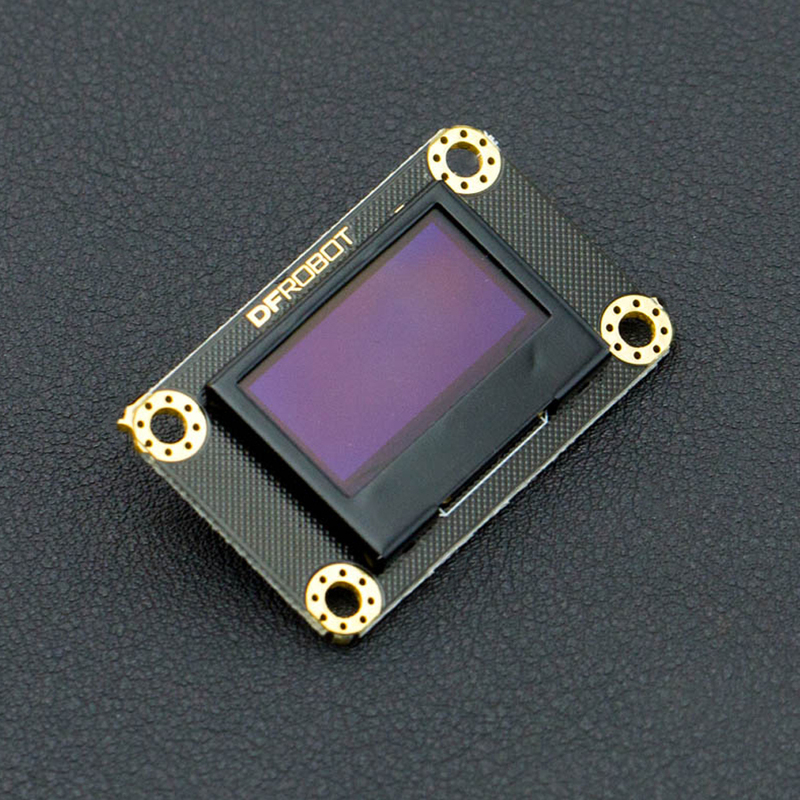 Get Gravity: I2C OLED-2864 Display from DFRobot Store or DFRobot Distributor.